CHARLOTTE, N.C., October 3, 2018 /3BL Media/ -- Duke Energy today announced a $100,000 donation to support long-term relief for North Carolina farmers affected by Hurricane Florence, particularly in the state's hard-hit eastern region where devastating flooding caused extensive, widespread damage. "Farmers are integrally woven into the fabric of eastern North Carolina and are vital to the state's economic wellbeing," said David Fountain, Duke Energy's North Carolina president. "The NC Farm Bureau provides critical support for farming families across North Carolina and we're glad to lend a hand in this effort." 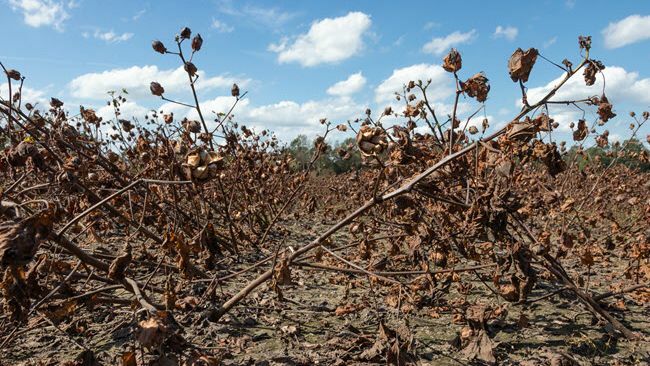 The donation, made to the North Carolina Farm Bureau Disaster Relief Fund, will go toward nonprofit partners to address animal feed during the winter, farming families' mental health, stream and pasture restoration and financial counseling for farming families. "In the wake of the storm, Duke Energy rolled in thousands of crews to restore power to farms across eastern North Carolina, and this donation continues their tradition of responding with speed and generosity," said Larry Wooten, President, NC Farm Bureau. "Duke Energy's support of farming families helps the agricultural community retain the local farmers who feed North Carolina." The NC Farm Bureau Disaster Relief Fund is accepting donations from anyone interested in helping farming families and our rural neighbors recover from the storm. Donations can be made online at Florence Relief Fund, or by texting FARM to 91999. The Farm Bureau will also be collecting donations at the N.C. State Fair in Raleigh, Oct. 11-21. Duke Energy encourages North Carolinians to consider how they can help our eastern North Carolina neighbors recover from the storm. In response to the storm, Duke Energy and subsidiary Piedmont Natural Gas have given $175,000 to the Red Cross and an additional $96,000 to local disaster relief efforts in the Carolinas, bringing the company's total contribution to $371,000. The Duke Energy Foundation, funded by Duke Energy shareholders, provides philanthropic support to address the needs of communities where its customers live and work. The foundation contributes more than $30 million annually in charitable gifts. Duke Energy employees and retirees actively contribute to their communities as volunteers and leaders with a wide variety of nonprofit organizations. Duke Energy is committed to building on its legacy of community service. For more information, visit http://www.duke-energy.com/foundation. The North Carolina Farm Bureau Foundation, Inc. assists North Carolina farmers, agricultural organizations and agribusinesses in educating North Carolinians about the importance of agriculture to North Carolina's economy and enhancing understanding about issues affecting agriculture. The Foundation also provides financial support for economic development projects and other special initiatives that enhance the quality of life for rural North Carolinians. The Foundation is an affiliate of the North Carolina Farm Bureau Federation, Inc., North Carolina's largest farm advocacy organization. NC Farm Bureau's home office is in Raleigh, NC with nearly 570,000 members statewide. Visit NC Farm Bureau on their website at ncfb.org and follow NC Farm Bureau on Facebook, Twitter or Instagram.